Look at this guy! What a cutie! It’s like Elvis‘ microphone cross-bred with some sort of weird alien USB bumblebee. 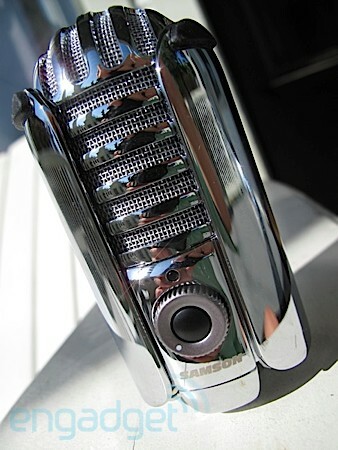 Samson’s Meteor Mic is unquestionably shiny, but its competition is an increasingly attractive bunch as well. Does Lil’ Samson’s beauty run only grill-deep? Read on to find out! Samson Meteor Mic review originally appeared on Engadget on Thu, 21 Apr 2011 17:17:00 EDT. Please see our terms for use of feeds. It’s the rumor that wouldn’t die, and Reuters is now reporting that Apple is finally set to launch a cloud-based music service — presumably putting its massive North Carolina data center to some real work at long last. Details are still fairly light beyond that, but Reuters says that Apple’s service will actually launch ahead of Google’s similar cloud-based option, which it reports is now “stalled,” citing “several people familiar with both companies plans.” According to Reuters, the service will let folks store their music (and only music, apparently) on Apple’s servers and then access it on any device with an internet connection — and a copy of iTunes, we presume. 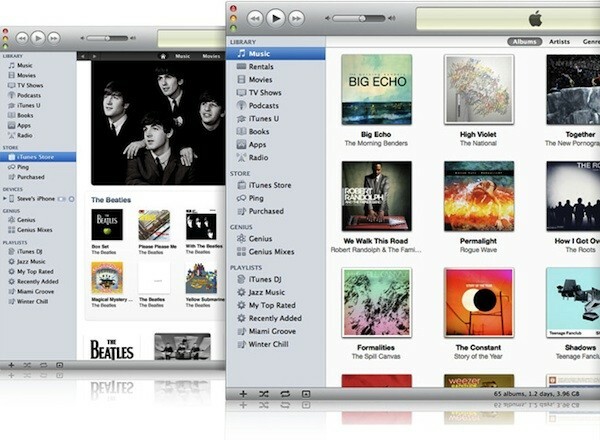 Reuters: Apple set to launch cloud-based music service ahead of Google originally appeared on Engadget on Thu, 21 Apr 2011 16:40:00 EDT. Please see our terms for use of feeds. 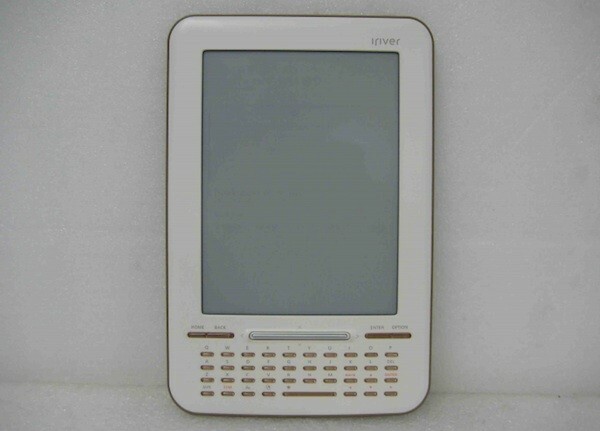 iriver Story HD e-reader hits the FCC, US retailers next? We haven’t heard much about iriver’s Story HD e-reader since it quite literally landed in our laps at CES back in January, but it looks like it might now finally be nearing a US launch. The e-reader has just turned up at the FCC, where’s it’s been thoroughly tested and dissected (see the link below for some additional evidence). That’s not always a sure sign that a US launch is imminent, but it does seem likely in this case — especially considering that iriver has already lined up a number of US content partnerships for the device. As for the e-reader itself, it’s similar in size to the Kindle and packs a 6-inch 1024 x 768 display, along with an 800MHz Coretx A8 processor, 2GB of internal memory, an SD card slot for expansion, and WiFi connectivity. In other words, it remains unchanged from CES, which means our preview is just as relevant as ever. iriver Story HD e-reader hits the FCC, US retailers next? originally appeared on Engadget on Thu, 21 Apr 2011 16:24:00 EDT. Please see our terms for use of feeds. This entry was posted on April 21, 2011, 5:36 pm and is filed under Mobility. You can follow any responses to this entry through RSS 2.0. Both comments and pings are currently closed.